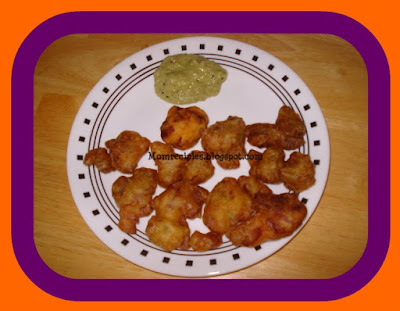 Whenever there is leftover dosa batter and bored of making dosas, then you can make these pakoras. These are so easy and quick to prepare and tasty to eat. 1) Add Maida to the dosa batter and mix well. Keep aside. 2) Add chopped onion , green chilies paste,chopped Cilantro ,cumin seeds to the batter . Add salt to taste and mix well. 3) Heat the oil in a deep-bottomed pan. Then carefully drop the batter into the hot oil with a spoon or hand. 4) When the pakoras turn golden brown in color take them out of the oil and place on a paper towel to drain excess oil. 5) Enjoy the hot pakoras with coconut chutney or desired chutney or tomato ketchup and a cup of tea/coffee. These are perfect for the evening snack. Any chopped vegetables can be added to these pakoras to make them healthier. Wowo i would have never thought of this, real clever and looks yumm.